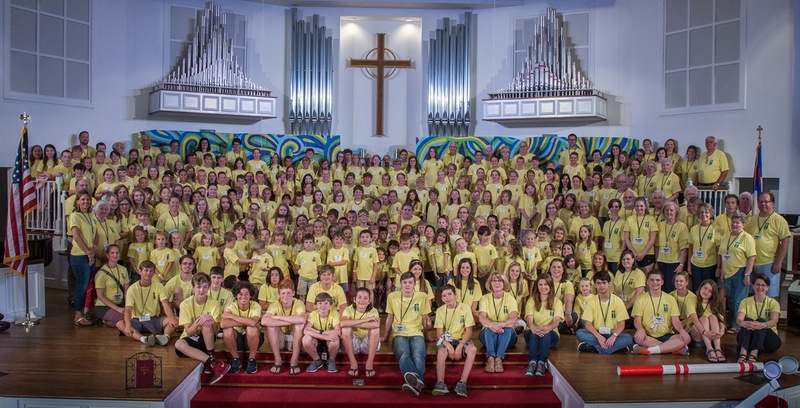 Children’s Ministry serves children from newborn to 6th grade. It is our duty and privilege to help our children joyfully know Jesus Christ, love Him more, and serve Him better. We begin when they are infants by lovingly caring for them in the nurseries and as they grow older we begin to teach them the truths of Scripture enabling them to grow in their knowledge and understanding of God. As we invest ourselves into these children, we will find ourselves blessed to participate in true Kingdom work; and we, as well as the children, will be strengthened in faith and overflowing in thankfulness. 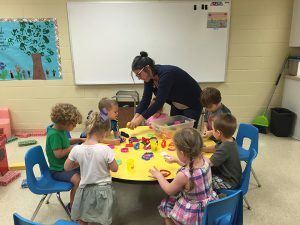 Sunday Mornings – 9:30 a.m.
Infants-Toddlers – we offer nurseries for infants and toddlers during the Sunday school hour with church members who volunteer their time and love to our covenant children and visitors. Age 2-4th Grade – Children study and grow in God’s Word using the Show Me Jesus™ curriculum of Great Commission Publications. The curriculum is Christ-centered, doctrinally sound, spiritually nourishing, and interactive. The curriculum teaches the entire Bible . . . from Genesis to Revelation. Children’s Church: During the service, our four and five year olds begin worship with the rest of the congregation. Then the children are dismissed (indicated in the order of worship) and led downstairs where they hear a lesson from the Bible specifically designed for their age group. Wednesday Nights – 6:15-7:30 p.m. There is a nursery provided for children two and under. PB&J (Praise, Bible, & Jesus): Our preschool children have Bible story time followed by play time with peers. The Bible story lessons are from the Jesus Storybook Bible curriculum which incorporates videos, crafts, and games. Children’s Choir & Bible: During choir time, children (kindergarten-4th grade) will play a variety of instruments, sing praise songs and learn to read music. The children will prepare for a Spring Musical in the 2nd semester. During the Bible time, children are divided into 2 groups (K-2nd grades and 3rd-4th grades) and study the Kids’ Quest!™ Catechism curriculum. This curriculum teaches children Bible truths through simple questions and answers. It is flexible and promotes memorization using components of Bible teaching, games, activities and more. 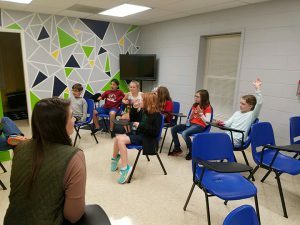 MERGE (5th–6th graders) meets in Room 100 for Bible study. Our Children’s Ministry provides many special events throughout the year including Parents Night Out, Parents Shopping Day, pool party, and our community-wide events: Fall Fest and Easter Egg hunt.